There’s a lot of strong feeling regarding our libraries and obvious disappointment, and anger, at the closures of some. Much has been said on this already, so I’m not going to repeat it here. But I would like to tell you a story, a story that spans five libraries and three generations. There was… my first library. I guess I’d have been four or five. It was known as The Pork Pie library and stood on an island – was it actually on a roundabout? In my head it was, though hard to believe now. It was made up of two layers and was very round – hence its nick-name by the locals. My mum would take me and my brother every week. This library, its unusual curviness and its position in the middle of the road, made a lasting impression on me, so much so that it now features in Buttercup Magic: A Mystery for Megan (due out this April) as ‘The Victoria Sponge’. 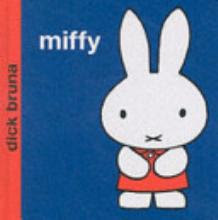 I remember sitting inside and finding my first ever Miffy book. I remember the blue cover and turning the pages. I don’t even have to close my eyes to visualise where I sat to read the book, and the excitement I felt when I saw those wonderful pictures. Then… my second library. I was in my teens by now and would visit the library in the local town. It was about twenty minutes walk from my house and was a big, modern, part grey part glass building. Sometimes my mum would come too, or I’d go with a friend, but mostly I’d go alone… there’s something special about being alone, and yet not alone, in a library. It was vast compared to The Pork Pie library, but I loved the space and the silence. There was a record shop five minutes from it too, so I would combine a library trip, for peace and solitude, with a trip to buy some music – even then, my life seemed to be comprised of contrasts - moments of solitude and moments bursting with activity and sound. My third library. As an adult, living closer to the city, I began to visit the main library. It was a wonderful, huge Victorian building with massive, heavy wooden doors. This was where my reading really began to take off. I would become so lost in the huge bookcases bursting with books, the wrapped up sounds, and people-watching – I used to do a lot of that. I’d often sit with a book and never get past the first page, just sit and watch the people around me, completely swept away to some other world. One of my discoveries, in this library, was a wonderful book called ‘The Winter Tree’, by Georgina Lewis – a very magical and atmospheric book. It is still one of my favourites. Then… there was library number four. When I began working in a University, I’d visit the library there. This was a much more vibrant place, full of students from all over the world, stifled, and not so stifled, laughter, students - heads down, studying… what are they studying? I’d wonder, listening out for bits of conversation, peering at the cover of a book in someone else’s hand. But despite the more bustly nature of this library, I still always found myself taken over by some other-worldly presence, transported to the place of ‘Library’. And… library number five. As a mum now, and living in quite a small village without its own library, we have a mobile library that visits every Wednesday and parks itself outside the local Co-op. When the children were toddling, and for a few years after, I’d take them every week, and they’d sit on the brightly coloured poufs at the end while I tried not to feel sick at the rocking lorry motion. They know me there now – not just as a mum but as an author. They have one of my books… how crazy is that? All the years I visited libraries and found other people’s books, fell in love with them, and now mine are in libraries for other people’s pleasure. I still have to pinch myself. You see, libraries aren’t just about reading are they? They’re about being transported to another world, they’re about contemplation and memories. No amount of money can buy those. When my children were little it was one of the few places I could go where they would settle happily without fighting! Which meant I was actually free to browse for ten whole minutes - which was truly wonderful! It really is Jo. The only other places that I think encourages such silence and contemplation are churches - libraries really are very special. I really enjoyed reading your post about the libraries that you've discovered through every stage of your life. I've shared it on my blog, Books for Little Hands. Libraries are a magical place and it's so wonderful that your love of literature was encouraged at a young child. Great stuff! My children and I wouldn't have been able to read half so widely without the local library. As toddlers it was a treat for them to walk through the park and end up at the library for a browse. The selection of picture books could keep them happy for a good 15 minutes, and then there was colouring in too - not to mention all the holiday activities. Nowadays, they use the library differently - reserving a book online, then waiting for the email to say it has arrived, then going along to find it neatly wrapped in a paper sleeve and rubber band - with their name on it! Almost like getting a present. Luckily for us, our town library is not under threat, but the same can't be said for the villages all around. I remember those peaceful toddler trips with a lot of fondness, and I'm sad to think other mums won't be able to enjoy the same experience without a (typically) stressful car journey first. The Pork Pie Library IS beside, but not on, a roundabout, and that roundabout is a horrible one that three daughters learned to dread meeting on driving tests! Surely there's only one Pork Pie Library. This one is in Leicester (a great place for pork pies generally). I know that it has been under threat, partly because it suffered a lot of vandalism, but am not sure how things stand with it just now. Anyway, nice that it is fondly remembered! Our public libraries are in decent shape in the US, but our school libraries are in danger. The bad part about that is that my school library is the only one that at least half of my students get to. It's great that you have such fond memories of your libraries. My town library was the only place we were allowed to go to when we were growing up - and I could say far too much about them and about library closures, but all I'll say here is - thank god for Wycombe Library! I used to love our regular trips to the library when I was small and I still enjoy them now. One of the few places I relax in, just surrounded by books. Books for Little Hands - thank you so much, so glad you enjoyed it. I shall have a look at your Blog now! Trudy - you are so right - a visit to the library includes so many other lovely aspects and children grow with those wonderful memories. I hope future generations can too, as much as you do. Pippa - yes, that's the one. How lovely that you know it too - and my memory was more or less right about it's position - bizarre place to put a library, but what a wonderful place and I hope it isn't one of the libraries that's lost. Ms Yingling - I didn't know that, about school libraries in US being under threat... why would that be? That's just tragic. I hope your library stays open for your students. Savita - I completely agree with your sentiments! Maxi - yes, such relaxing places where time almost stands still. The University library sounds so cool! I don't really visit my library, seeing as there are barely any books for my age group. There used to be, though... They stop around age 10 then go straight to adult literature. But I used to love the library when I was younger. I loved visiting the library when I was a child. I remember reading each and every Famous Five book, then the Secret Seven, Nancy Drew, Tintin… it was a wonderful place, full of adventures and magic. And libraries are still important to me in every way - as a reader, as a writer and as someone who works in one. I can't imagine what my life would be like without my local library. Hi Gary - I hadn't heard there was one in Feb Gary. I'll definitely check that out now - thanks for letting me know. Ah, thank you Ria! The Uni library was cool - a very vibrant place and great for people-watching. Emma - they are magical places. I love the hush and the fact that everyone there seems to be in their own world. There aren't many places you get to see that.